For the first time in 17 years the Canucks are headed to the Stanley Cup Finals! 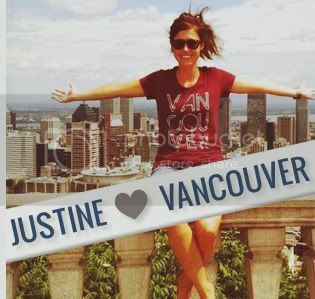 History is about to be made in Vancouver and you're probably not going to miss out. If you're lucky enough to get tickets to any of the home games.... send us an email and take us with you. If however, you're one of the thousands that will be looking for somewhere to watch the upcoming games, we've compiled a short list of excellent places to watch our Canucks win. CBC Outdoor Plaza - As long as it's not raining this may be the best place in Vancouver to watch the game, surrounded by thousands of other cheering fans. A great family atmosphere with free face painting, free Go Canucks Go posters, and great food vendors. Rogers Arena - Even if you don't have a ticket to a home game you can still watch the Canucks play at Rogers Arena... away games will be streamed at Rogers Arena! Unfortunately it looks as though it will not be free though. Bummer. Shark Club - A bit ironic (or satisfying!) 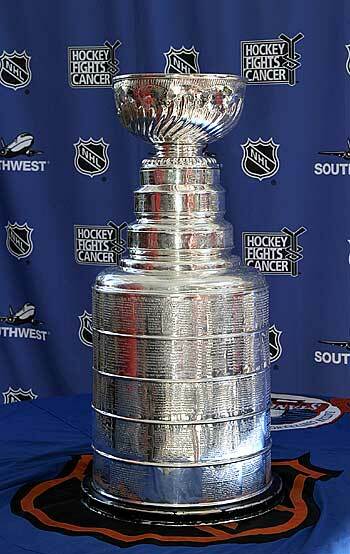 to watch the Stanley Cup Finals at the SHARK Club, but since it's a great downtown sports bar, we're putting it on the list! Also a great post game place to celebrate, whether you were lucky enough to score a ticket or are watching it at the CBC Outdoor Plaza. Rogue Wet Bar - These guys know how to have fun watching the game. Tweet your predictions, watch the game, enjoy their great on tap beers, win the game, win prizes! Conveniently located close to the Sea Bus terminal for any North Shore Vancouver fans that want in on the downtown action. Where are YOU watching the Canucks? Email us and let us know. 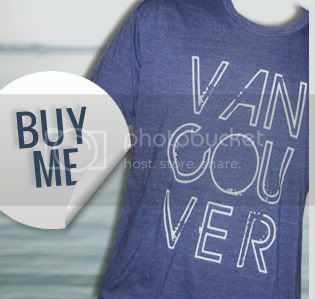 Make sure to send us pics of you wearing your Vancouver, we love you shirt for us to post right here! 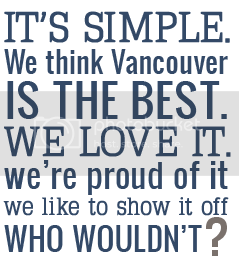 And if you're not already following us on Twitter or friends with us on Facebook, add us and join us in 'tweering' on our Vancouver Canucks to Stanley Cup victory!